At Taconic Biosciences there are opportunities to both expand your career and grow within your current role. Our employees are the company and we are dedicated to providing the tools that empower all of us to be the best problem solvers in the industry. This commitment starts with new employees as they join us. All employees are invited to a comprehensive onboarding program that covers several departments at Taconic. Employees learn what the different areas do, how they fit within the organization, and who to contact when they have questions. For employees in entry-level roles, hands-on training is provided on all aspects of the job. 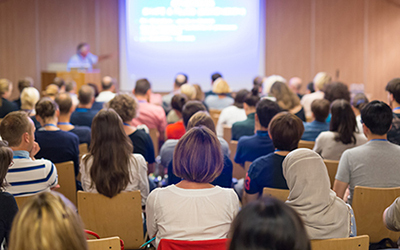 Beyond the formal, in-house training, Taconic also supports employees in attending outside programs, either through direct payment of work-related training, seminars, or through our tuition reimbursement program. Employees are also encouraged to achieve and maintain industry certifications, such as those from the American Association of Laboratory Animal Science (AALAS). No matter where you start with us, there are many opportunities. For example, employees who start as Animal Care Technicians have the opportunity to move into Team Leader or Supervisor roles, as well as transfer to other departments within animal production to our laboratories, or into customer service. From customer service, employees may continue into other client-facing roles, such as project management, inside sales, or field sales. We are committed to offering many opportunities for career development at Taconic, no matter where our employees' ambitions lie, and we look forward to celebrating many more success stories.